Submitted by ken on February 20, 2007 - 7:06am. 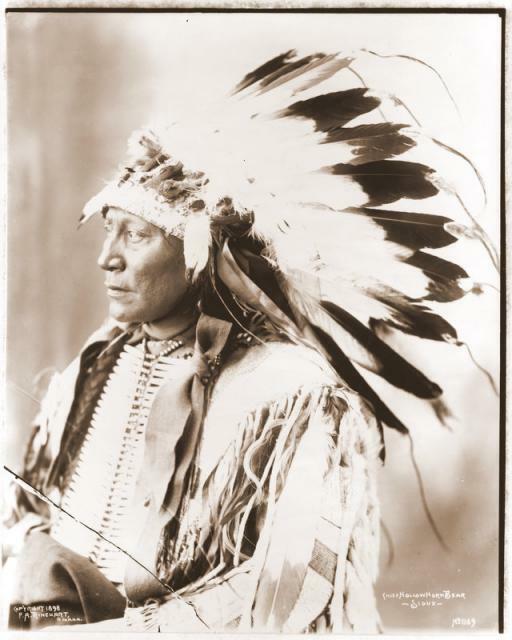 Sioux Chief Hollow Horn Bear wears a full feather headdress. The image was copyrighted in 1898 by F.A. Rinehart.